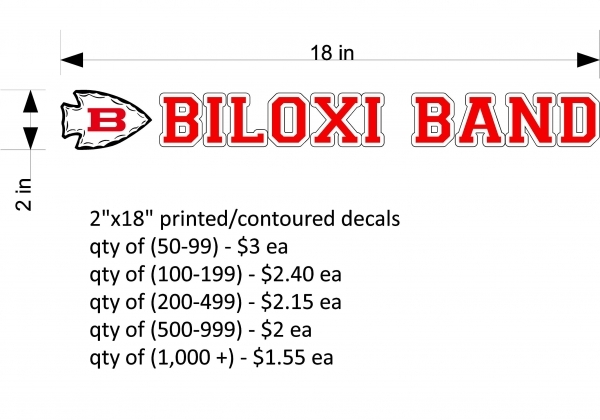 The overview of this project was to provide a positive promotional campaign that showcased the Biloxi High School Band program. 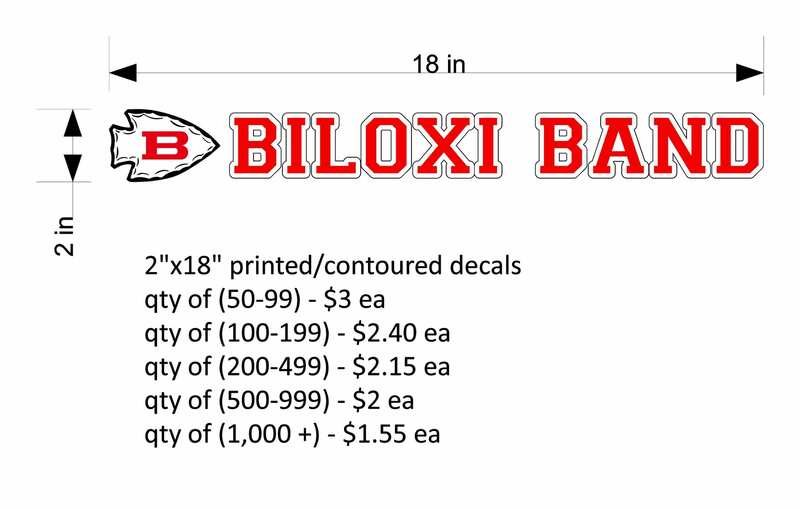 We looked to replicate ways to bring attention to the positive things happening in the Biloxi Band and get our name out into the community without breaking the budget. Our hope was to raise community awareness in order to improve student retention and increase student enrollment in the program. We first had a local sign company create window decals fashioned after the collegiate style template and gave these away for free to all band parents and students so that our brand was visible throughout the community. Next we hired a local videographer to create a hype video fashioned after the hype videos done by collegiate athletic teams each year. Finally, we uniformed our logo and the apparel that our students wear throughout the year to create a clean and uniformed look that the students have a lot of pride in. They enjoy wearing our spirit gear in the classroom and community which further increases our exposure. The immediate target audience for this project was the K-12 students in the Biloxi Public School District. The secondary target audience for this project was the community in and around the City of Biloxi. The window decals cost us $1000.00 as we bought 500 and they cost $2.00 a piece. The hype video cost us $300.00 to create. We use the video on our webpage, share it with our elementary music teachers, show it during campus tours, and play it for all 5th grade students before they make their decision to join band in the 6th grade. The logo apparel cost is offset by the student band fees. We include their apparel sets into their camp fees each year. We update the apparel each year to keep it fresh and interesting for the students who wear them. I believe that this promotional video has greatly benefited our band program. The Biloxi community and all of the Mississippi Gulf Coast has heard great things about our program and we receive many more invitations to perform and opportunities from local media to speak about our program on air than we used to. Our enrollment is also at an all-time high. In eight years the high school program has grown from 105 members in 2011 to 245 members in 2018. We also have over 450 students in band in grades 6-8. This project does not cost very much money to recreate and can pay huge dividends over the long term. I would highly recommend programs to replicate this project. It is very easy and not time consuming on the director’s part.